Working with an insured contractor protects you in the event of an accident. Squeegee Klean carries an insurance policy for your protection, with limits of $300,000 per incident and $600,000 in aggregate. There are many fly-by-night window cleaners. Will you be able to find them next year-or tomorrow, if something goes wrong? Squeegee Klean has been in business locally since 2004, and owner and founder Steve Konarzewski has been working in the industry since 2001. Is the company truly owner operated? An owner who is engaged in the business and actually spends time on job sites helps to ensure that you get the quality workmanship you expect from a service contractor. Squeegee Klean isn’t just owner operated. Owner Steve Konarzewski personally visits every Squeegee Klean job site. Do they use professional products? Professional products produce professional results. Inferior products attract dirt, which means your windows get dirty again faster. 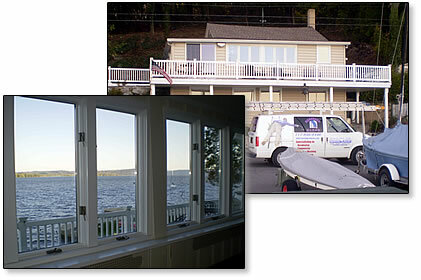 We always use professional window-cleaning products and solutions. We never use products designed for other cleaning purposes. Do they take steps to protect your property and its contents? 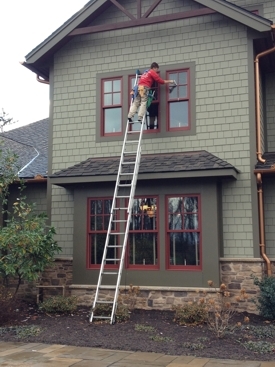 Clean windows are no bargain at any price if your window-cleaning contractor damages your property. We truly care about your home or business. For your peace of mind and to prevent damage to your property, we cover the ends of all our exterior ladders with rubber and cover the ends of all our interior ladders with sheepskin. 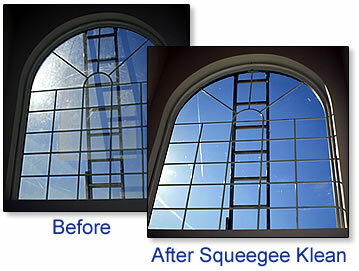 When you hire Squeegee Klean, you’ll know you’ve hired the best window cleaner in town. Are their crews well groomed and professional in both appearance and action? I have found that when people take pride in their appearance and behavior, that attitude carries through to their work. Are their vehicles clean and professionally lettered? This is another indicator of a company that is in business for the long run—and a company that cares about the details of its business. A company that takes enough pride in its work to put its name on its trucks in permanent, professional lettering is a company committed to providing quality service. Squeegee Klean prides itself on keeping its vehicles sparkling clean—and they are all professionally lettered. Companies that do good work are proud to back their work with a guarantee.